Seeking ways to resolve the apparent conflict experienced when reading scripture and studying natural history has long been a personal quest. Even before plate tectonics, I recall as a child realizing that the continents fit together as puzzle pieces and wondered if “let the dry land appear” referred to continents as they were today or as they might have been. 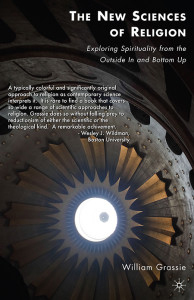 It was in this lifelong spiritual quest for harmony between science and theology that I turned to Philip Clayton’s God and Contemporary Science (Eerdmans, 1997). The theological issue Clayton tackles is how God acts in the world. Clayton’s conciliatory tone suggests tentativeness and questioning in this very irenic tome that provides a three way interaction between science, theology, and philosophy. He re-frames traditional views within the panentheistic and philosophical views of today to give a more inclusive view of how philosophy and science can inform theology without giving up core Christian beliefs. 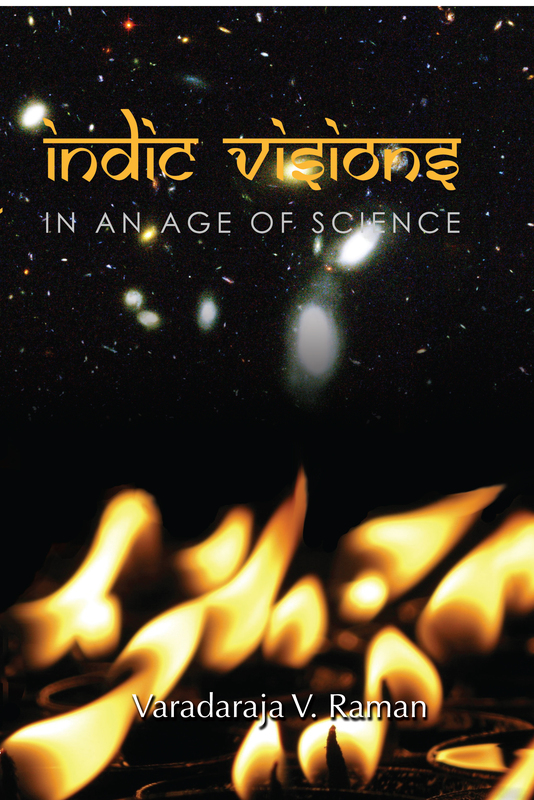 The first chapter defines the role of theology in a post-modern environment giving science a more serious voice than usual. Clayton sees post-modernism as a Pauline opportunity for Christian theology to be heard in the Mars Hill academy. The new task is deciding what it means to make truth claims of such universal significance as a risen Messiah. To do this he feels he must relate Christianity to “the major source of knowledge about the world: science” (p. 5). 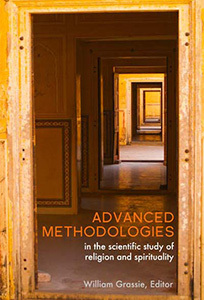 Clayton grants that science, even though its practitioners can be value laden, has enough checks and balances that its outcomes tend to correctly explain “large segments of the empirical world [and] account for the widest possible range of empirical data with greater adequacy than any of their competitors” (p. 6). He gives full acknowledgment of the need for methodological naturalism in science but shows that such reductionism is ultimately inadequate to fully explain ideals such as love, truth, beauty or soul. When theologians take science seriously, Clayton claims that we may even find biological evolution of consciousness to be compatible with purpose. Whether this evolution is a result of purpose or accident is unanswered by science. Clayton accepts the epistemology and metaphysic of assuming purpose to find compatibilities between science and faith. Indeed the foundational issue that pits evolutionists against creationists is one of teleology versus “dis-teleology.” There is no a priori reason why science must assume purposelessness in order to be science. This is a metaphysical assumption, not one that can be deduced empirically. For an integration to occur, science must admit that teleology is possible (at least in principle). But theology must allow for non-orthodox interpretations of past cosmologies. His main theme in chapter two is a Christian theology that does not subordinate the doctrine of creation to the doctrines of redemption and sanctification. Clayton appeals to Pannenberg who requires that theology and biblical understanding include the discoveries of natural science. What scripture does not teach are “quasi- (or pseudo) scientific accounts of the world” (p. 17). What it does teach is “perhaps the most … important implication of God’s unlimited power for a doctrine of nature: the contingence of the world” (p. 18). This contingence allows the universe to work in a law-like manner within which the whole cosmos can carry out free will activities but rely upon the Creator’s upholding of cosmological laws that permit it to do so. God has self-limited his omnipotence. This theology of creation focuses on the grace and love of God for the entire cosmos to come into oneness (Rom. 8:18-24) with the God who continually creates and sustains (creatio continua). Clayton leaves many questions unanswered when he appeals to our “need to struggle with what it means to read Genesis today” (p. 36). He avoids whether or not there was a historical fall or if a paradisiacal state really existed; he does acknowledge that he is inclined away from such views. Clayton’s focus instead is to define how panentheism enables the integration of the Christian faith and science with Christ as a universal revelation to redeem the entire cosmos unto salvation. Panentheism, in developing a better awareness of the dialectic between transcendence and immanence, shows that the cosmos is in God and vice versa but that God is more than the cosmos alone. Clayton makes the claim that “God either is or is not the actual source of the entire physical universe” (p. 51). However, he also admits that “theology finds a gap between the scope of its claims and the scope of the arguments it can make on its own behalf” (p. 51). In the end, accepting the argument of God as Creator and with a plan for the cosmos will still remain where it should: an article of faith. Chapter three shows how Hebrew traditions of Divine agency are changed by Christian theism and how such claims are, indeed, peculiar. Within the post-modern context, Christianity finds itself needing to point out its uniqueness so it does not become just another path. He asks us to consider the uniqueness of the Christian proclamation of a God who is active in the world beginning with the kerygma. The Christian claim that God became human as Jesus Christ whose atoning death and resurrection allows all of creation to commune directly with God by the power of his holy spirit is singular. Clayton encourages systematic theologians and philosophers to use current philosophy and science as a means of enlightenment “to find formulations that do justice both to the Christian tradition and to the intellectual context in which it finds itself” (p. 62). Clayton shows how Trinitarian doctrine compels him to use Thomistic reflection and Whiteheadian process thought to conceive of God as community, embodying absolute mutual love. From this perspective, Clayton defines the roles of God’s “omnis” “-potence, -presence, -benevolence, -science” and defines each Christologically: a God who fully knows and cares for all parts of his creation at all times. Clearly this position begs the theodicy question which I felt should have been addressed despite the predictable outcome. If the book has a major failing, it is this inadequate treatment of theodicy. What he offers is acceptable to the faithful only: all things including suffering, extinction, painful evolutionary processes, and death work together for good (Rom. 8:28) (maybe not our own but for an ultimate good). This will hardly comfort the believing sufferer. An answer like this fails for the skeptic. But the skeptic’s alternative is to claim we live in an absurd universe. Either way, the sufferer must resign herself to stoic acceptance. There is one difference for the believer that gives her an advantage, however. She has hope in a future within which she personally participates; the skeptic’s naïve melioristic hope is in humanity’s future goodness in which she cannot participate. As a result, the humanist skeptic typically burns out long before the believer in doing good for others. Clayton is convinced that science and philosophy can be in dialogue with theology now that we have recognized “the myth of scientific objectivity and philosophical absolutism” (p. 68-9). At this point, I wondered why Clayton earlier conceded so much to science and philosophy in informing theology only to point out that science and philosophy are just another voice rather than the voice. I appreciated this slight course correction of keeping science, philosophy, and theology as separate spheres of influence that can inform one another. Clayton believes a coherence with science and philosophy is needed because we are rational agents, ignoring challenges from other schools of thought reduces one’s religion to one of extremist fundamentalism, and if God is truth then all truth is God’s truth regardless of its origin. Of course, assuming our minds were forged solely by biological processes to make sense of our environment purely in order to survive, however, then there really is no reason to proceed under the assumption that the world is ipso facto completely explainable by such minds. With this view of ourselves, there is nothing to prevent us from accepting the idea that some things, including God’s action or purpose in the world, are beyond human comprehension. In chapter four Clayton explains how God works in the world in a way that does justice both to the scriptural evidence and to contemporary philosophy and science. Clayton asks, what framework allows philosophical and scientific considerations to be compatible with biblical information to define how God’s relationship to the world works? Panentheism is his answer. His synthesis is captured in the single statement, “As God can be present to every now while still subsuming all nows within the eternal now that transcends and encompasses finite time, so also God can be present here while still subsuming all heres with a divine space that transcends and encompasses physical space” (p. 89). Thus God is in the cosmos and the cosmos is in God. In addition, God and the cosmos are separate in theologically distinct ways. God is immanent yet transcendent. Clayton tests this conception against the origin of sin and the concept of a “fall” from “perfection.” Using Westermann, he establishes sin as an “overstepping of limits,” the human wish “to be God,” and to act as if one were God (p. 92). Clayton teases us, however, with his statement, “a metaphysics of perfection may face problems today that it did not recognize in the pre-modern period” (p. 92). A thorough discussion would have been more helpful. I kept waiting for answers to the following: why does the “creation is good” have to mean “perfect”? Why is eating something that allows us to distinguish good and evil have to be considered sinful and cause death? Does death really refer to something physical or spiritual? A discussion of a cosmos that is good yet goes on cycling between life and death and subsumes from one creature into another until a consciousness dawns that has sentience enough to conceive of God and wonder about purpose and his role in the universe, fear death, and conceive of ethics would have fit Clayton’s panentheistic perspective well here. He does promise, however, that his forthcoming work Infinite and Perfect? The Problem of God in Modern Philosophy will elaborate more. Clayton’s discussion of process theology relies heavily on Whitehead, Hartshorne, and Pannenberg. The cogent summary of this discussion is: “Once one has challenged the hold on theology of a metaphysics of substance, which Christianity had inherited from Greek thought, and has seen how a metaphysics of process can provide just as adequate a conceptual framework for thinking about God, then one is hard pressed to say why God’s perfection should require that he be immutable, unaffected by anything that goes on in the world” (p. 94). Clayton also shows how traditional proofs of God are transformed by panentheism and postmodernism. He does a good job with the ontological argument, but his treatment of the cosmological and teleological arguments for God was limited to simply noting that the panentheistic view is consistent. He ends the chapter showing how natural theology, philosophical theology, and metaphysics have provided a consistent, coherent, and comprehensive set of standards for an adequate theory of God, filled with theological content, and a clearer view of what theological results can be expected. In chapter five, Clayton explores how scientific cosmology contributes to theology and how scientific work needs an interpretive framework that theology and metaphysics offers. The goal of this chapter is to define where theology and science may interact and where they should not. Clayton does this by summarizing key thinkers in this area. In covering Wesson and Tilby, Clayton admits that theology may have to limit its concern with science to that human sense of awe toward nature and our spiritual connection to it. He should also have detailed how evolutionary philosophy can only offer a dis-teleological explanation for how we got here—a completely stochastic and serendipitous ontology. In presenting Tipler’s anthropic cosmological principle where “the fundamental values of the universe are slanted towards the eventual emergence of higher life forms in an improbable manner” (p. 132), Clayton shows that the argument is an a priori improbability that allows for intelligent life. Such wonder does not prove God but it could cause us to seek something more than coincidence or stochastic serendipity. Clayton, however, sees Tipler’s position as pantheism and a scientifically updated version of Spinoza. Clayton is cautious about accepting Davies claim for a Designer. While the believer may easily take refuge in what appears to be exquisite design, at least at a very holistic level, it is still a believer’s gambit and it is still metaphysical interpretation. But it is not proof as defined by science which plays by the rule of materialistic naturalism. Dawkins, for example, would simply call such things designoid (not design) and claim fortuitous serendipity. But neither is Dawkins proven right by science; both intelligent design and stochastic serendipity are metaphysical claims. ‘Proof’ of design and Designer are metaphysical assumptions, indeed they are theology proper, Clayton claims. Just because the design argument is outside the bounds of a materialistic science, does not keep theologians from reflecting upon it as they integrate “cultural, moral and existential experience” (p. 141) into their observations of the physical world. Data may also get interpreted metaphysically by the scientist at a personal level even though he can only publish such beliefs in books, not scientific journal articles. Examples on the dis-teleological stochastic serendipity side include Dennett and Dawkins; on the teleological religious side are Dembski and Behe. Toss in a political agenda like equal treatment of “Intelligent Design” in public school science classes and logic devolves into spicy rhetoric. Clayton should be commended for his even-handed treatment of the design inference. At least he is one philosopher/theologian who clearly points out its limitations. Clayton presents Harrison (and Kant) as relying on pantheism (the Universe is God) to preserve a place for human spirituality so as not to fall prey to the “anomie and chaos” (p. 147) of Francis Crick’s astonishing hypothesis view of life: nihilism. Harrison does not trust science to provide an “adequate overarching framework of belief” (p. 149) for humanity to have a deeper meaning and mystery that contemplation of the Universe brings. Clayton then presents Drees’ sophisticated religious naturalism. Drees takes the extremely parsimonious view that religious awe is a uniquely human experience, but only a Darwinian question of what survival value religion provides for humanity. Clayton claims this functionalist view “precludes any serious interest in the content of theological assertions” (p. 152). Just because a numinous experience is described evolutionarily is not proof that it no longer exists at a spiritual level. If anything, it mystifies me even more that a physical process occurs at just the right time in the person’s life to have the religious experience she needs to continue on. Clayton points out that the limits of science require a broader metaphysical discourse especially since it “functions poorly as a world-view that might guide moral decision-making and the human quest for meaning” while theological theories “may provide the most powerful explanations we possess of the world” from the human experience. (p. 155). Clayton sees that both science and religion can contribute to a correct way of viewing man in the universe. Theological ideas are “fit and explanatory” (p. 154) as long as they provide those powerful explanations. Thus the key thesis of chapter five is that we need a common framework for formulating agreements and disagreements between scientific and religious claims regarding theism. Metaphysics should be “something like long-term science, speculation about how it will all fit together in the end” (p. 156). Just as science promises to eventually understand how things work eventually through the collective and self-correcting nature of its enterprises, so theology should work to understand “why things are” through various philosophers, theologians, and scientists working together with a collective dialogue. To admit that religious ideas may need revamping and rethinking as a result of new discovery is refreshing. Still, Clayton is cautious and warns us “to guard against the over-quick movement from scientific results to conclusions about the nature of God and his relation to the world” (p. 157). Using science to explain how God works, creates God in our image. God is not an engineer. If anything, nature seems far more a result of a rococo abstract artist comfortable with indeterminacy and contingency rather than a designer with a specific plan. Fortunately, Clayton concludes that the theologian really cannot find confrontation or falsification from the natural world regarding belief in God. Clayton shows that the overwhelming mystery of a beginning we may attribute to God but we are not constrained to do so. But to attribute the origin of the universe to pure stochasticity is also presumptuous. The theologian is free to claim the universe “begins and ends within the divine being outside of which there is nothing” (p. 158). But such a claim comes through the eyes of faith. Clayton concludes the chapter realizing that science lacks the ability to provide us with a “quest for meaning in the world” (p. 160) unless it is placed within a metaphysical context. To best provide this metaphysic, he turns to panentheism. I wondered, however, how much of this claim is rooted in the uniquely human value of seeing purpose in the universe and in one’s life. Clayton’s argument hinges on this assumption: it is critical for humans to have purpose and meaning in their lives. We turn to theology to validate that we are here for a reason. Science qua materialistic naturalism certainly doesn’t provide that hope for purpose, at least not if Dennett and Crick are the models. In chapter six, we try understanding Divine agency, “one of the most difficult and urgent questions facing theologians today” (p. 169), in light of what we understand about the universe through science. Clayton focuses on science’s primary assumption that for any event in the natural world there should be a natural cause rather than a supernatural one to explain it. 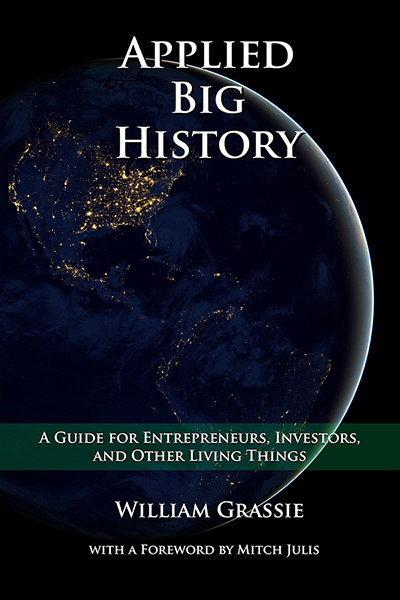 The key theme of chapter six is that “no other competitor is in the position to provide what the natural scientist can provide: a law-based framework … unparalleled in its ability to explain and predict events in the world … but such success does establish an epistemic presumption in favor of natural explanations” (p.172-3). Clayton still grants theology some say “The success of science does not establish the impossibility, metaphysically speaking, that divine agency … could not be another type of causal force at work in the world” (p. 173). It is refreshing to encounter a Christian philosopher unafraid of science. So where do religious explanations of physical events find validity? Clayton evaluates Hume’s position that divine activity occurs before the universe’s creation and after its end. But Clayton questions Hume’s assumption that experience-based induction suffices for this belief. Clayton sees Kant as having greater impact when he claims there are no epistemic criteria “naturalistic or theistic” that can claim knowledge of the before and the after of the universe. Clayton finally chooses Pannenberg’s concept of “universal history” as the place where the revelation of God’s role in the universe is best experienced. Whether or not one sees purpose or direction in history still seems, to me, to be dependent on the eyes of faith. To resolve the issue of physically describing a spiritual experience, Clayton turns to Austin Farrer’s “double agency” position. God’s role is understood in a metaphysical sense as “the force that causes contingent beings to continue existing” (p. 177) or that God allowed the neuronal firings and chemical releasers and brain architecture to evolve in such a way that they are capable of conceiving God. 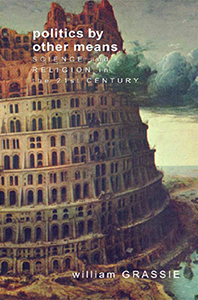 Since double agency is untestable scientifically, Clayton is critical of its ability to resolve tensions between science and religious claims of agency. This concern, to my mind, is unwarranted. Religious claims do not have to be subject to scientific validation since their epistemic base is revelation and personal experience informed by community and discovery while science is based solely on discovery and the human processes of observation with the five senses. Secondly, just because science chooses to box itself into a belief system that trusts only perception, or its extensions, does not make it more truthful or valid than other pursuits, especially those such as art, literature, or music. It seemed to me as if Clayton may be prematurely giving more credence to science’s ability to discover truths than theology’s ability to explain Truth. After all, the best that the materialistic naturalism philosophers can conjecture is stochastic serendipity without purpose. Considering how desperate we are for purpose, I doubt that such nihilism will ever be compelling. Clayton likes panentheism’s argument by analogy to develop a theory of mind for the God-world relationship being like our own mind-body relationship. He provides this argument in the seventh chapter. Clayton, as theologian, is burdened with the onus to define what it means for God to be active in the world especially when one wishes to do so in dialogue with science. Clayton’s goal of explaining emergentist supervenience theory of God’s action in the world is based on the mind:body::God:cosmos analogy and how “mind” is unlikely to be reducible to purely physicalist terms. Theological claims of activity in the material world grow more and more difficult as physical causes are discovered for phenomena that once were considered beyond explanation (e.g. as the gaps get filled in). Of course, once human thought gets explained, even this last bastion is destroyed. Theologians should play the game conservatively and develop their theology based on the assumption that this bastion will be breached rather than keep our fingers crossed that it doesn’t. Clayton has high hopes that the five-volume series produced by the Vatican Observatory and the Berkeley Center for Theology and the Natural Sciences will address the causal joint for divine agency. The hope lies in quantum mechanics and chaos theory to postulate “God, who could presumably know the initial state of some system … could cause changes at the quantum level and then use … chaotic systems to amplify these changes into macrophysical outcomes” (p. 196). But why subject theology to the role of quantum mechanics and chaos when most scientists believe they are not applicable to life at a macro level anyway? Ontological indeterminacy of quantum particles does not translate into indeterminacy at macro levels except in metaphysical leaps in philosophical scientist’s minds. Of course, this is the beauty of the concept since science does not detect patterns at the subatomic level that would translate into action at the macro level. How convenient, a scientific theory that cannot extrapolate into how it applies to ‘higher’ macro levels because of its indeterminate structure. Metaphysics gets clothed in scientific garb to gain respectability. Probably neither the naive parishioner in the pews nor the naturalistic scientist at the bench will find the arguments compelling, however. The attraction to these two ideas for divine agency has always perplexed me. It may be a quantum universe theoretically at really small or really large scales but Newtonstill works quite adequately at the in-between human scales. Let’s face it, it’s been nearly fifty years now and Pollard has yet to find a dead cat mysteriously poisoned by Schroedinger. Even Polkinghorne, although leaving open the possibility for quantum events to affect the brain and thus human thought, doubts the idea in the end. Polkinghorne has always been critical of quantum mechanics and chaos when considering divine causality. He may allow chaotic systems if they are influenced by information input because it is more akin to pure spirit or thought. But he is careful to consider theological constraints: God’s action should somehow be continuous and sustained not capricious. And it should allow interaction with the physical rather than intervention. Polkinghorne also considers synchronicity, the idea that certain events just seem to happen at just the right time to carry out God’s will. Clayton does offer other options to the theologian: give up the quest to specify how God acts in the world, decide that how God acts is a matter of pure faith beyond all grasp of human reason, or give up on the claim that God acts. Clayton recognizes a criticism presented by Maurice Wiles: if God’s actions or existence are inaccessible to empirical study, then why should a scientist believe in his existence or action when that scientist’s system of belief is based on physical evidence alone? Wiles suggests we are better off not claiming God’s action in specific events but only in the context of furthering the overall intention of God in universal history. Clayton appreciates Wiles’ position when he points out that human freedom is denied if God’s outcomes are pre-determined. Clayton prefers Tracy’s final position that God’s actions are not in directing but instead in persuading and preparing us to take certain actions that carry out his will for the universe. It seems an impasse has developed when Clayton acknowledges that many theologians have abandoned any idea that divine action can be compatible with natural science. But he still asks, what concepts of divine agency would or wouldn’t be consistent with modern science? He identifies three models: Schleiermacher and Kaufman’s deterministic model; Hebblethwaite and Compton’s gap-free model; and Tracy’s non-deterministic, gap-dependent model. Toward the end of chapter seven, Clayton recognizes that a theory of divine action cannot be derived solely from natural science. Clayton states, “If God acts occasionally but stays within the statistical probabilities, the summation of the probabilities will cancel out the effects of the action” (p. 214). He discusses others (e.g. Murphy) who hope chaos theory can amplify the effect perhaps by activating a brain state in a human to allow a thought that, if freely chosen, would carry out God’s will for example. So we have a physical theory that operates at the subatomic level only and then couple it with a mathematical theory that is deterministic but dependent on initial conditions to finally affect human choice to do God(s will and thus meet theological requirements for divine action. Like Brecha (Zygon 37:909-924; 2002), I just don’t buy it. Such an approach reduces God down to ways of human thinking. We have taken the cat out of the box and put God in its place wondering if, when we open the box, whether or not he will be active in the world. Even the science behind how quantum perturbations can affect small photons or large molecules, much less macro-organisms, is theoretical not real [Science 298:342-3 (2002); 299:185 (2003)]. Sure, theoretically, the cat might be dead when we open up the quantum box but, practically, we will never need quantum veterinarians to study strange feline deaths. I’m glad Clayton limits his commitment to quantum chaos to affection. After all, Schroedinger’s cat is still a pet notion and Einstein always loathed quantum entanglement as “spooky action at a distance” since information had to exceed the speed of light. As a practical macro-level notion of God’s agency, quantum chaos is just a dumb idea. Theology may end up having to modify some beliefs about God if science shows the world to be radically different than theistic belief once claimed. This rather large concession for theology would demand an equally large compromise by science philosophers: give up the claim that the cosmos is dis-teleological and all an accident. After all, the claim is non-scientific anyway. It is metaphysics, impure and complex. Clayton’s favorite idea, however, is panentheism as he feels it provides the clearest scientifically-amenable theory of God’s action in the world. Clayton tracks Peacocke here. God’s immanence is found in the natural world even though God is profoundly more than the creation itself. Peacocke’s approach is to only use general statements about God’s purpose in the world. Peacocke still allows for top-down causation as a lure in a supernatural manner. 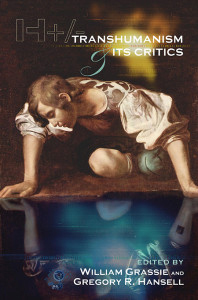 Chapter eight is the climax of the book where Clayton presents his own synthesis of divine agency based on “the best theories we have of the relationship of our minds to our bodies, and then corrected for by the ways in which God’s relation to the universe must be different from the relation of our mental properties to our brains and bodies” (p. 233). Using this analogy, Clayton puts a panentheistic spin on it to “make progress toward a theology of the God/world relation by thinking our way more deeply into the so-called mind/body question, making full use of developments in the theory of human personhood (neo-emergentism, supervenience theory) in recent years” (p. 234). Clayton’s favored position is emergentist supervenience to describe the irreducibility of consciousness. It becomes a capstone of his argument for God’s agency in the world, the panentheistic analogy. The argument starts with the proposition that materialism (or physicalism) is insufficient to describe human consciousness. When the parts of the brain (the ‘postulated entities’ as van Fraassen calls them) are together, they form a whole that takes on an existence of its own, one that supercedes the ‘entities’ of which it is made. Clayton is proposing a whole new field of inquiry to develop a formal theory of emergent properties, one that will be composed of theories of explanatory adequacy, causal activity, and on what exists. We will need to agree on epistemology, teleology, and ontology to do this. What better place to do this than in the brain sciences themselves? The argument appeals to human agency as an analogy because ours is the only type of personal agency familiar to us. He admits the potential for mystery here. If God’s agency is nothing like our own, then the mystery is complete. But if God does work like us, the mystery remains only until our own agency in the world is understood. By limiting the argument to one of analogy, Clayton prevents the last God of the gaps arguments from being filled in. Should human mental functioning ever “be fully explained in terms of neuro-physiological states and laws. … If physicalism (whether (reductionist( or not) wins this battle, I [Clayton] will argue, the most hopeful means for making sense of divine causation will be removed” (p. 234-5). If science ever equates mind with brain, and theology makes the mistake of equating mind with soul, then physical reductionism collapses soul into brain and we concede defeat. The neuroscientists and philosophers are divided on whether or not consciousness is reducible. One side fully believes that consciousness qua thinking will be explainable as neuronal chemical and electrical signaling eventually. The other disagrees that such physical events and brain states will ever be sufficient to fully grasp that inner dimension of thinking—what it’s like to be oneself. Clayton sides with the irreducibilists because “if minds are reduced by explanation to their physical substratum or ‘hardware’, then God would have to be reduced in a similar manner as well” (p. 243). Most of the argument hinges on how we define mind. If we define it as consciousness or personhood or even soul, then we will always have an unfillable gap. The best way I can represent this is by the following equation: Brain – Mind – Consciousness – Personhood -Soul, where “-” represents the scientist’s conjecture that I doubt will ever be resolved adequately. But, even if done, the “-” represents a conjecture that is impossible to resolve. After all, personhood, much less soul, cannot be defined scientifically anyway (and claiming that it does not exist if it cannot be detected is a cop out). There is a Polanyian tacit-knowing-of-oneself that goes beyond even an intimate soul-mate’s knowing who you are, much less someone merely studying your neurons firing. You still have to tell the technician what you are thinking before he can make sense of the MRI. Describing neurophysiological functioning cannot be translated into what a person is thinking unless she tells you “what’s going on inside of my head.” Of course, one could survey enough people telling you what they were thinking and then a correlation made with which neurons were firing at the time. But the translation still required something irreducible and intangible to begin with: that person’s tacit knowledge of her inner mentality communicated to you in inaccurate and incomplete symbols or words. I was surprised that Clayton did not engage Crick’s The Astonishing Hypothesis in this chapter. Or that Dennett’s Consciousness Explained wasn’t more than just a footnote. These and the Churchlands’ works really do “make materialist assumptions that set them at odds with theological reflection” (p.266 footnote 8). The key issue to resolve is the difference between two concepts of emergence. Clayton uses the term emergent in the sense that the entity composed of the combination of separate parts takes on a new level of being that cannot be explained even by thoroughly comprehending all the components and how they interact. Crick, in a straw-man argument, calls this the mystical concept of emergence. He calls the scientific concept of emergence the one that realizes that the whole really can be understood from the behavior of the parts once they are all catalogued and once it is known precisely how they all interact, including mental states. Clayton likes Hans Flohr and Jaegwon Kim’s take on supervenience and how it preserves the reality of mental states against the Churchland’s reductive stance. This argument should be developed more thoroughly because, as I see it, Dennett would dismiss mental states as “qualia”, epiphenomenal qualities that seem to be but really are not. Consciousness is considered to be just another quale by Dennett. Assuming that consciousness will always remain in the realm of mystical emergence, or what Clayton calls strong supervenience, he develops the case for how God’s agency can be understood from the panentheistic analogy. His argument has three steps: mental predicates supervene on physical states; one supervening mental property can cause another; and finally, mental states are not epiphenomenal but can cause physical events. Clayton would claim that one’s mental state derives from the physical neurons of the brain and their interactions. From here, one’s own mental state can be communicated to another and then influence that other’s mental state which in turn would “rewire” that person’s physical substratum of a brain. One mental state acting on another (like one idea giving rise to another) is not a substance as such but it does seem to affect the physical brain perhaps by rerouting the flow of neurons or causing a new neuronal synapse to occur. In this sense, an idea has the ability to rewire the brain! Now, is that ability mere qualia? Clayton says no and I would agree. Consciousness is not “a metaphysical surd” (p.257). Dennett, Crick, the Churchlands, and all physicalists are wrong! Of course, they will just respond that we are getting into metaphysics in the bad sense. I’d say they’re just mad because their rules of the science game won’t let them play metaphysics which they’d really rather be playing. Nothing in the natural world or the mechanisms to study it (science) can resolve the impasse. Of course we still must have consistence, coherence, comprehensiveness, and comprehensibility to play the game fairly; otherwise, we could claim anything we wanted. In the end, Clayton admits that he is on a journey of fides querens intellectum and not trying to prove providence scientifically. But it is good for theological reflection to be at least somewhat consistent with what is known about the natural world. Ultimately, however, one has to wait for verification in an eschatological sense. Similarly, I’m still trying to fit together puzzle pieces whether they are continents or ideas. I have long ago stopped trying to literally read scripture for anything more than spiritual direction. This non-superstitious faith bothered me greatly when I was in the drinking-milk-only stage of faith; I wanted a Santa Claus God who could solve my problems, reassure me who I was, where I came from, and where I was going. I continue seeking to understand the juxtaposition of such aphorisms as “all truth is God’s truth” and “the truth shall make you free.” Most of the time, however, my prayers are simply asking, “What is truth?” And, I get the same silent response Pilate got … and I wonder why burning bushes are reserved for obscure Semitic pastoralists. At least Clayton’s book is a step in the right direction toward truth, but I think I’ll still have to wait until I can see clearly face to face rather than through a glass darkly.